We’re proud to announce that Flightdiary is now myFlightradar24. myFlightradar24 is the perfect place to keep track of your flights and compile detailed statistics about your travels. You can even help fellow travelers by leaving reviews of flights you take and airports you visit. 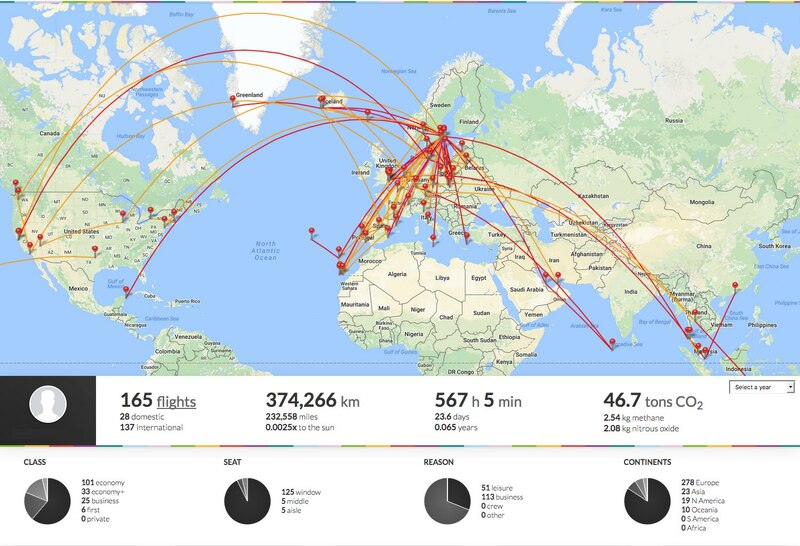 Flightdiary launched in 2010 and quickly became the best way to keep track of your flights. Soon after launch, Flightdiary was acquired by Flightradar24. Today we’re further integrating the two to take advantage of Flightradar24’s massive airline and airport database enabling you to better track your flights around the world. Keep track of all your flights with as little or as much detail as you’d like. You can also help fellow travelers and keep notes for yourself by reviewing the airlines, aircraft, and airports that make up your journey. We’ve enhanced the integration between the two sites to make adding flights easier and to grow the database, adding over 650 additional airlines and 3300 airports. We’ve also given the site a facelift and added new statistics for all of your flights. 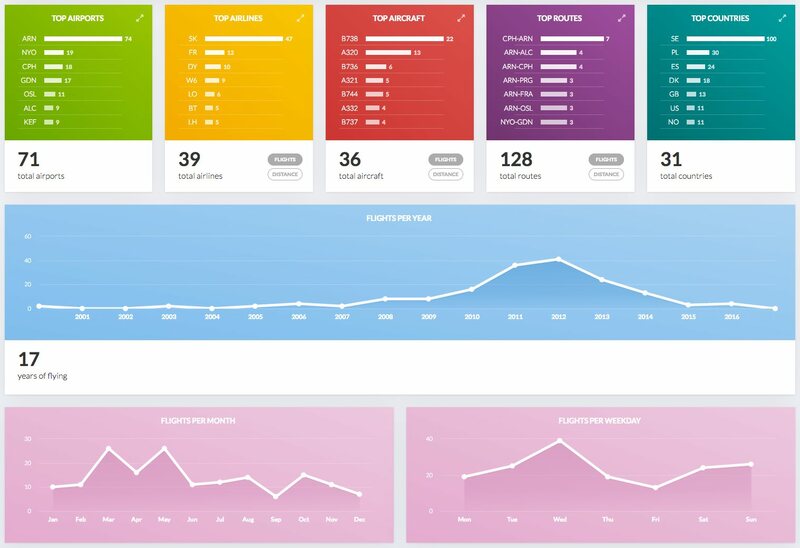 Keep track of where you’ve been and how you got there and see detailed statistics of your travels. We’ll also continue to integrate myFlightradar24 into Flightradar24, with reviews and special ways to track myFR24 users on their flights. View your own personal leaderboard to see your most popular airports, airlines, aircraft, and more. Logging your flights is simple and quick, add every detail or just quickly enter the flight number and date. For flights in the myFlightradar24 database, details like departure and arrival airports and times and airline information will be added automatically. See how easy it is to add a flight in the example slideshow below. You may import your flights from Open Flights to myFlightradar24 by visiting the Import page under settings. If you already have a Flightradar24 account, you’ll use those credentials to access your data on myFlightradar24. Your Flightdiary credentials will no longer be required. All of your existing data has been migrated from Flightdiary to myFlightradar24 so there is no need to reenter your flights. You’ll continue to use your existing Flightdiary credentials to log in to myFlightradar24. All of your existing data has been migrated from Flightdiary to myFlightradar24 so there is no need to re-enter your flights.